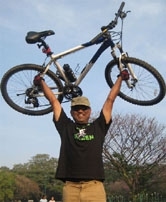 GoGreen Campaign Ride 21 Feb 2010 towards Cubbon Park. - GGI-Group size: 4000+ Professionals, Increasing on day to day basis, Come & join us 2 serve Mother Nature. 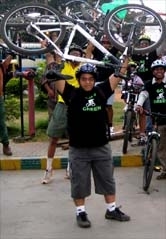 GoGreen Campaign Ride 21 Feb 2010 towards Cubbon Park. 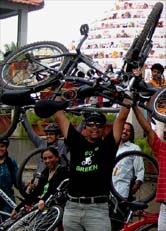 Totally 30 GGI's participated on 21 feb 2010 GoGreen Campaign Ride, As usual started from RIS Junction @ 6:50am reached cubbon park by 7:30am where we caught up with rest of the GGI's who had come from other parts of the city. 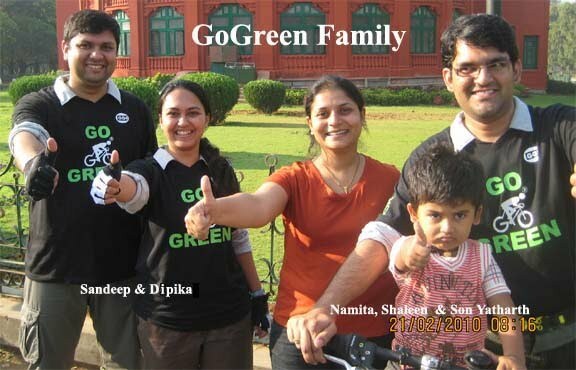 Others not seen inthe group photo..
Shaleen's wife Namita, Shaleen and their 3yrs son Yatharth.